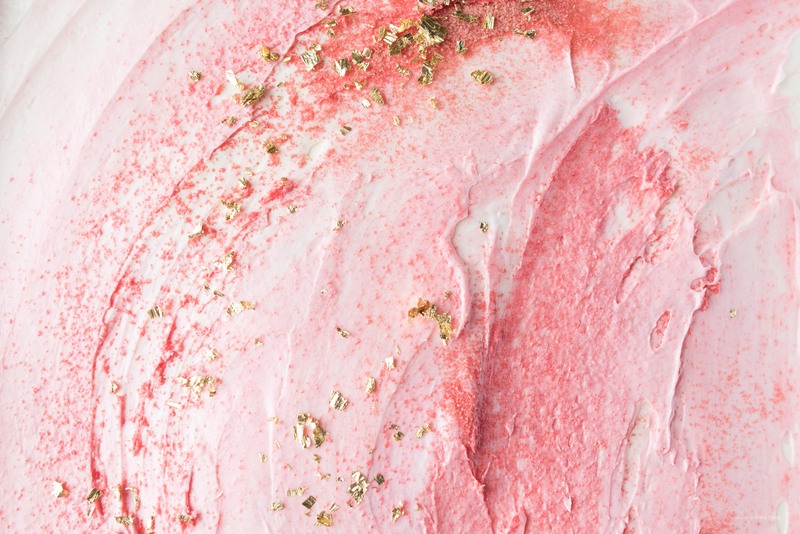 The perfect millennial pink cake, with gold flecks! Right now the sun is setting AND it’s rainy. It’s kind of like a weather unicorn – the clouds are golden and pretty and there’s a slight hint of pink in the sunset. Kind of sort of like this pink with a hint of gold cake. I made this the other day when I had the urgent need to frost something. 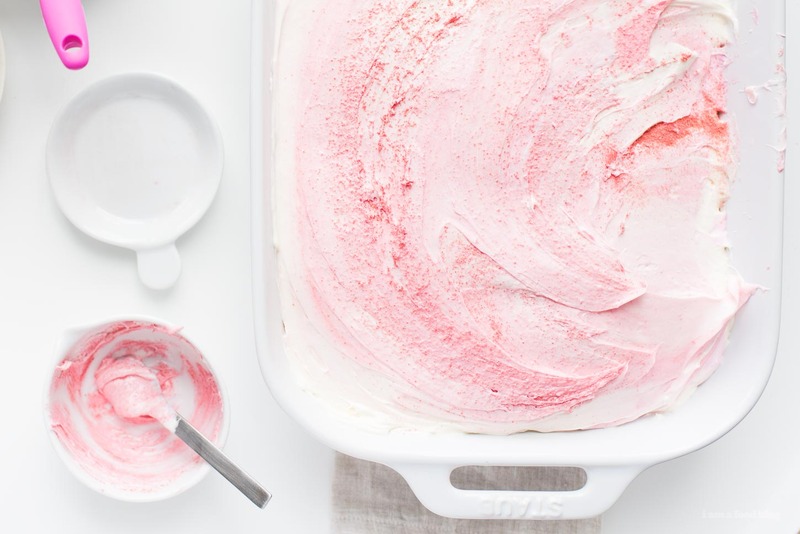 I’m a fan of frosting sheet cakes because they’re the easiest cakes to frost: no sides and no strange shapes. 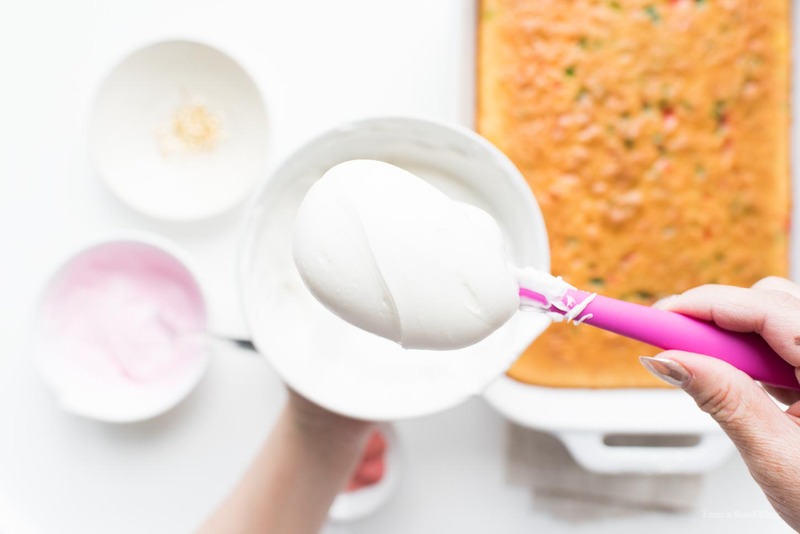 I had the best time playing around with frosting, mostly because I use (gasp!) boxed cake mix! I actually love boxed cake mix. It’s easy, it’s fast, it’s moist, and…I think it tastes good! As much as I love baking (not as much as I love cooking), I love decorating things more. I’ve been seeing a lot of mermaid toast on the Instagram and I was inspired. I mean, yes I felt kind of basic doing it, but shrug. Since I was being basic, I decided to go all the way and frost with pink! xoxo pink and gold flakes! PS – Couldn’t resist doing a lil Drake on cake because Drake. And because cake. 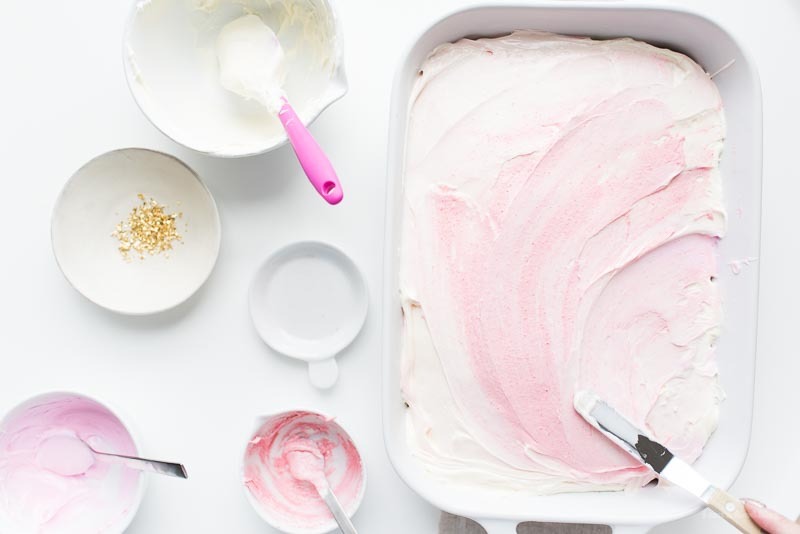 Divide the frosting into 2, leaving half of it white. 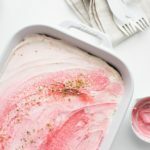 Divide half of it into 2 small bowls (or more if you want more pinks) and tint to varying intensities of pink, using food coloring or the powdered strawberries. Evenly dot the white frosting across the entirety of the cake. 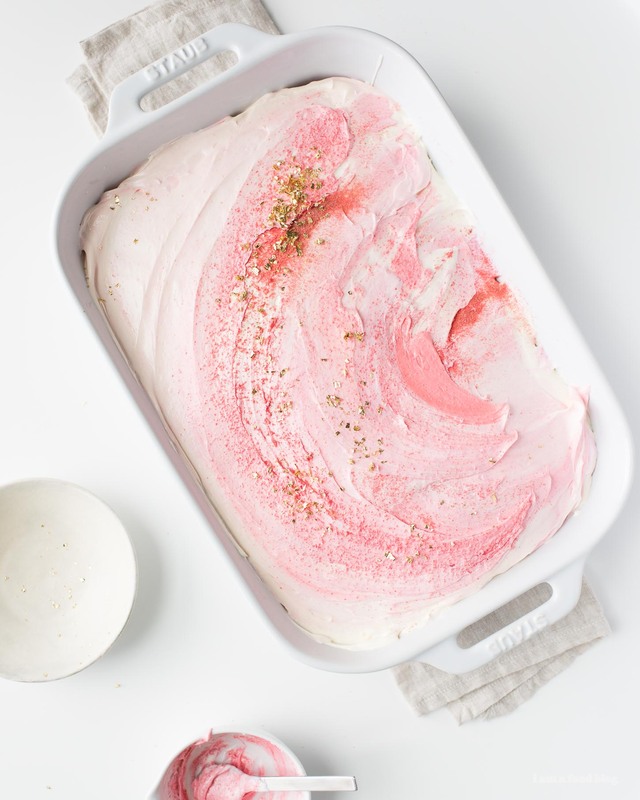 Randomly add pink blobs of icing. 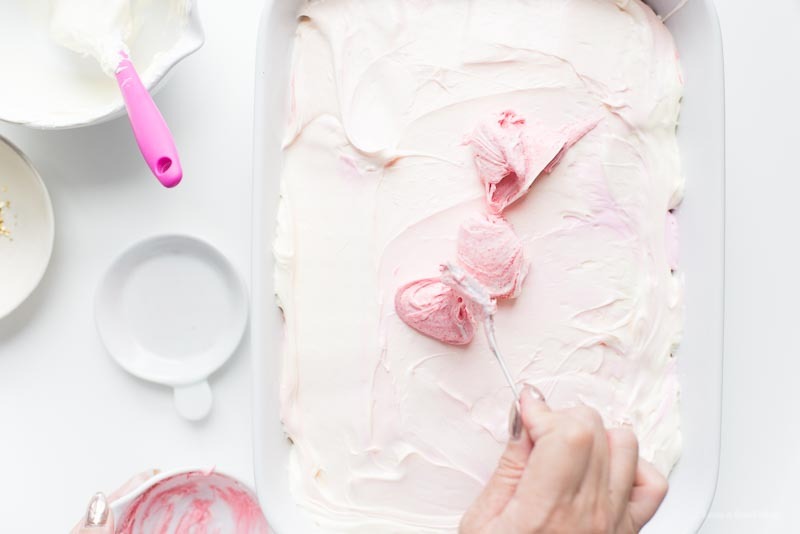 Use an offset spatula and smooth out the frosting, adding extra various different shades of pink icing in a swooshing wave-like motion. Sprinkle on some extra powdered strawberries for more intensity. Artfully arrange the gold flakes. Slice and enjoy! Your icing looks so smooth! 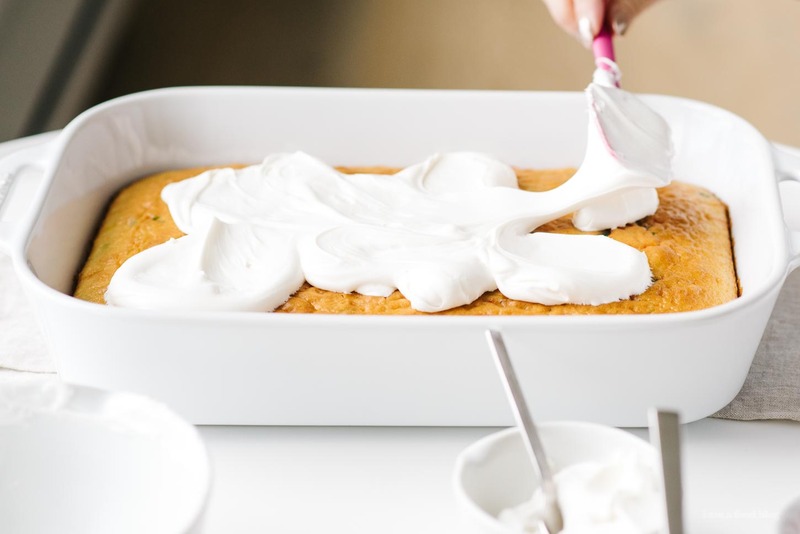 My butter cream is usually quite thick so I’m guessing this isn’t butter cream… would you mind sharing your recipe that you use here? Thanks Steph! this is awesome and so prettyyy! Yellow box cake all the way!! Where can you find powdered strawberries? This is beautiful! Where did you get your gold flakes? i got them from a local food specialty store. 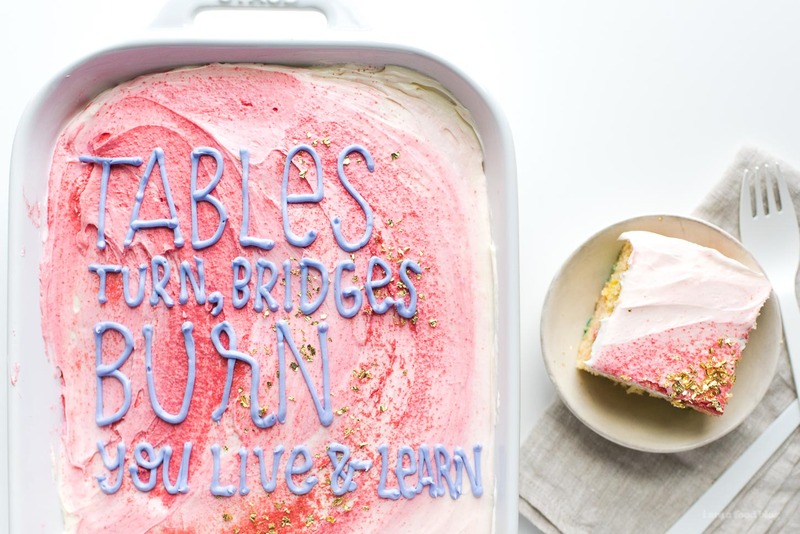 i think they most likely sell them in cake decorating stores too! Steph, I love that you keep me young (aka up to date on all the trends). Now I must make a unicorn cake sooooon!!!! How’d I miss this super cute post?? Um, McNugget happy meal – CUTE ENOUGH, Mike?? What toy did you get? (this is Teddy’s very favourite excitement when we drive-thru….) 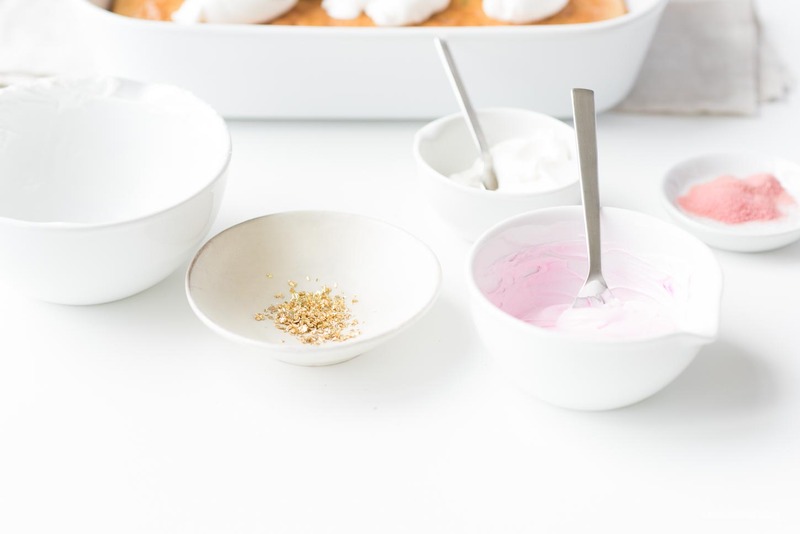 also, I just used powdered freeze dried strawberries in a recipe test – DELISH!! I am addicted to eating freeze dried strawberries right now… they are like the au naturel version of Lucky Charms marshmallows!! Hehe. This cake is amazing!!!!!! A little late to the party, but I LOVE IT!! Where does one find powdered strawberries 🍓? 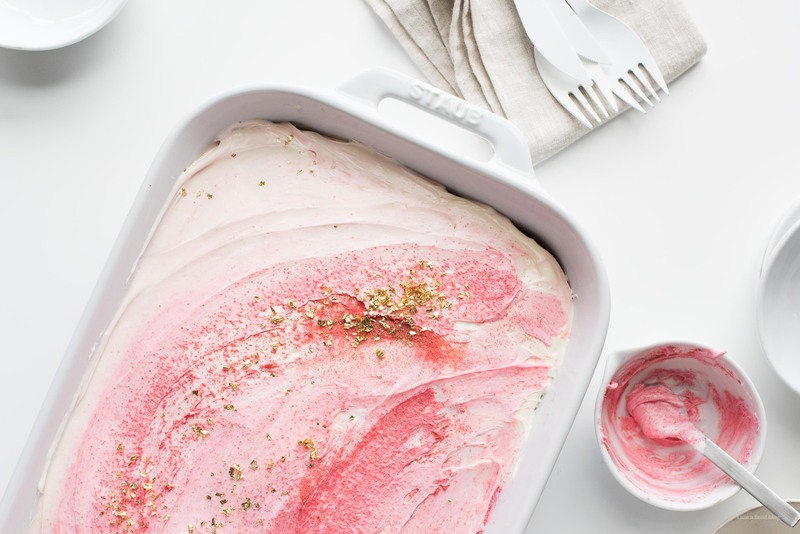 Love your pink Unicorn Sheet Cake. Great!